Meehan, Boyle, Black & Bogdanow has sought and earned a niche in the Massachusetts legal community, and the firm's attorneys have a reputation as leaders in the legal profession. This is because they have achieved extraordinary results in many high-profile cases, and are nationally recognized leaders in bar associations, continuing legal education activities and committees relating to the administration of justice. Attorneys at Meehan, Boyle, Black & Bogdanow strive to get the best compensation possible for personal injuries and wrongful deaths. At the same time, they hold a broader goal: to use the hard lessons learned from these cases to help improve our communities and make the world a safer place. Areas of Law: -General Civil and Trial Litigation. Products Liability -Medical Malpractice -Aviation -Drug and Medical Device Litigation and Insurance Law -Appellate Litigation. Meehan, Boyle, Black & Bogdanow, P.C. will represent your Personal Injury legal matters. (Retired Status), American College of Trial Lawyers, 1975. Phi Beta Kappa. Recipient, ATLA Wiedemann-Wysocki Citation of Excellence, 1999-2000, 2001-2002. Listed in: The Best Lawyers in America, 2005; Law and Politics, "Massachusetts Super Lawyers," 2004; Boston Magazine's Best of Boston (Law and Politics Magazine). Super Lawyers: Top 50 Female Lawyers in Massachusetts, 2005; Massachusetts Lawyers Weekly's "Up and Coming Lawyers' Hall of Fame," 2006. 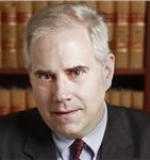 Executive Editor, Harvard Civil Rights-Civil Liberties Law Review, 1988-1990. Editor, Massachusetts Personal Injury Law Sourcebook, 2004. Member, Editorial Board, Journal of the Massachusetts Academy of Trial Attorneys, 1992-1998. Massachusetts Bar Association (President, 2009-2010); Massachusetts Academy of Trial Attorneys (President, 2002-2003); American Association for Justice (State Liaison for Massachusetts Women Trial Lawyers Caucus, 1997-2001; Member, Legal Affairs Committee, 1998-2001; ATLA's List Advisory Committee, 1998-1999); Women's Bar Association of Massachusetts; Chair, Lawyers for Action (PAC), 2005-2006; Massachusetts Continuing Legal Education, Inc. Curriculum Advisory Committee, 2007. Oliver Wendell Holmes Life Fellow, Massachusetts Bar Foundation. The Roscoe Pound-American Trial Lawyers Foundation-Massachusetts; American Board of Trial Advocates, 1993. Massachusetts, New York State, Federal (President, Mass Chapter, 1994-1995) and American Bar Associations; The Association of Trial Lawyers of America; Massachusetts Defense Lawyers Association (President, 1990-1991); Lawyer-Pilots Bar Association; Massachusetts Academy of Trial Attorneys. Author: "Massachusetts Tort Damages," Lexis Law Publishing, 1993 (and Second Edition, 1999). Member, Joint Bar Advisory Committee on Judicial Nominations (2004-2007). Boston (Co-Chair: Litigation Section, 2003-2005), Massachusetts, Federal (President, Massachusetts Chapter, 1999-2000) and American Bar Associations; Massachusetts Academy of Trial Attorneys; Massachusetts Bar Foundation. Member, Board of Directors, Greater Boston Legal Services, 1996. Member, Panel of Arbitrators, American Arbitration Association. Boston and Massachusetts (Hearing Officer, Board of Bar Overseers, 2001; Regional Chair, Superior Court, Bench/Bar Committee, 2003) Bar Associations. Massachusetts Academy of Trial Attorneys. Joint Bar Committee on Judicial Appointments, 2002-2003; Federal, 1993-2006 (National Board of Directors, 2000-2001; Chapter President, 2001-2002).